Click the button below to add the The Epistle to the Romans: A Gospel for All to your wish list. The apostle Paul lived within a swirl of controversy. False Christians – Judaizers – dogged his every step, slandering his motives, denying his apostolic authority, and seeking to overthrow his Gospel teaching. They argued their case loudly, and Paul knew that he must give the literary performance of his life. The result was the Epistle to the Romans, in which he demonstrates the truth of his Gospel – a Gospel for all men – and thereby vindicates his apostolic authority. 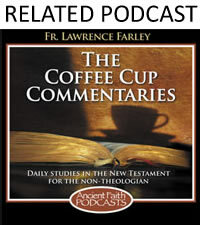 This commentary series was written for the average layperson. Working from a literal translation of the original Greek, the commentary examines the text section by section, explaining its meaning in everyday language. Written from an Orthodox and patristic perspective, it maintains a balance between the devotional and the exegetical, feeding both the heart and the mind. 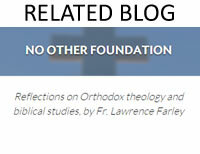 About the Author: Archpriest Lawrence Farley is the pastor of St. Herman of Alaska Orthodox Church (OCA) in Langley, B.C., Canada. He received his B.A. from Trinity College, Toronto, and his M.Div. from Wycliffe College, Toronto. A former Anglican priest, he converted to Orthodoxy in 1985 and studied for two years at St. Tikhon’s Orthodox Seminary in Pennsylvania. In addition to the Orthodox Bible Companion Series, he has also published Let Us Attend, One Flesh, The Christian Old Testament, Following Egeria, and A Daily Calendar of Saints.